Half a million airline passengers across Europe face delays and cancellations for the rest of the day following a systems failure at the Eurocontrol centre in Brussels. Eurocontrol, which coordinates air traffic for 41 member states, tweeted: ‘There has been a failure of the Enhanced Tactical Flow Management System [ETFMS]. 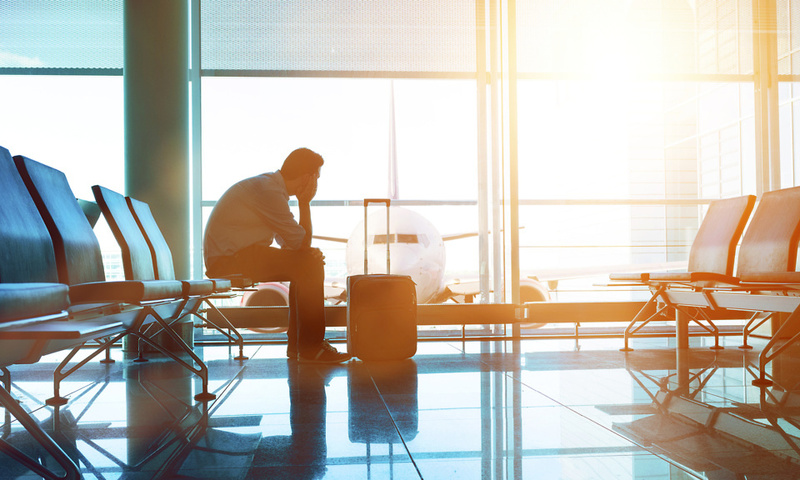 What are my flight delay rights? Any passengers affected by the computer failure are unlikely to be able to claim compensation, as the delay has been caused by an extraordinary circumstance outside of their airline’s control. The airline should give you vouchers to get these things at the airport. If you’re not offered any help, ask someone who works for the airline for assistance. If the airline doesn’t give you help at the airport, keep receipts for expenses and try to claim back the money later. Airlines only pay for ‘reasonable’ expenses. You won’t get money back for alcohol, expensive meals or luxury hotels. Separately, Heathrow and Gatwick will be hit with flight delays over the next three weeks while air traffic controllers introduce a new digital system to replace paper flight information strips. Starting from Wednesday 4 April, the number of flights allowed to land at the UK’s two busiest airports will be reduced while controllers gain confidence using the new EXCDS digital system in a live environment. Average delays at Heathrow could be 20 minutes, as arrivals are limited to 80% of maximum capacity for 10 days. This will be raised to 90% for the following 10 days, with delays expected to be halved to around 10 minutes. The UK’s leading provider of air traffic control services, Nats, will be making the change at its control centre in Swanwick, Hampshire. The centre is responsible for all air traffic across London and the South East, and handles some 1.8 million flights a year. Passengers who find themselves caught up in the interference will not be entitled to compensation, even if delays drag on for longer than expected. Air traffic control issues are considered ‘extraordinary circumstances’, meaning airlines are not liable to cough up if flights are cancelled or delayed for more than three hours. However, weary travellers will be entitled to other assistance, such as meals and refreshments. Travellers won’t be the only ones to be affected by the switch – people living under the airports’ flight paths will see extra flights circling after 11.30pm at night and before 6am in the morning. This is because Nats has been given permission to land some planes ‘slightly earlier and slightly later than usual’, reducing the overnight respite from aircraft noise. Jamie Hutchison, director of Nats’ Swanwick base, said: ‘We know there will be a number of flights affected, particularly in the first 10 days. ‘But for the majority of those flights, we expect the delay to be minimal and travellers should not change their plans or travel later to the airport. The introduction of the EXCDS digital system is an important step in the modernisation of how the UK’s airspace is managed. It is part of a £700-million programme to cope with the growing demand for air travel – with UK air traffic expected to increase from 2.6 million flights last year to 3.1 million in 2030.